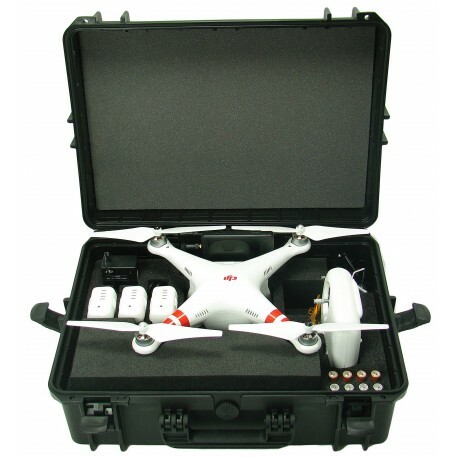 - A Dji Phantom 2, 2 Vision, or 2 Vision +. 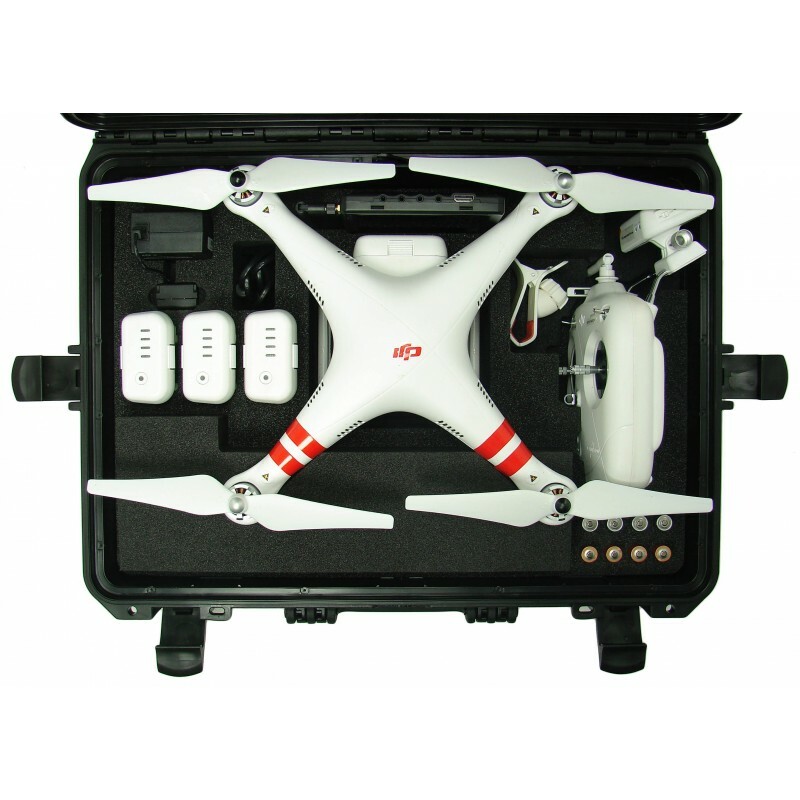 or the Phantom 2 transmitter with an aluminium screen support witch could be find here or here. 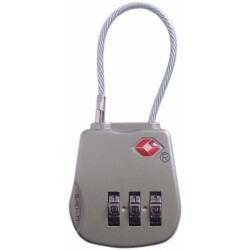 - 8 spaces for 2 set of transmitter's spare batteries . 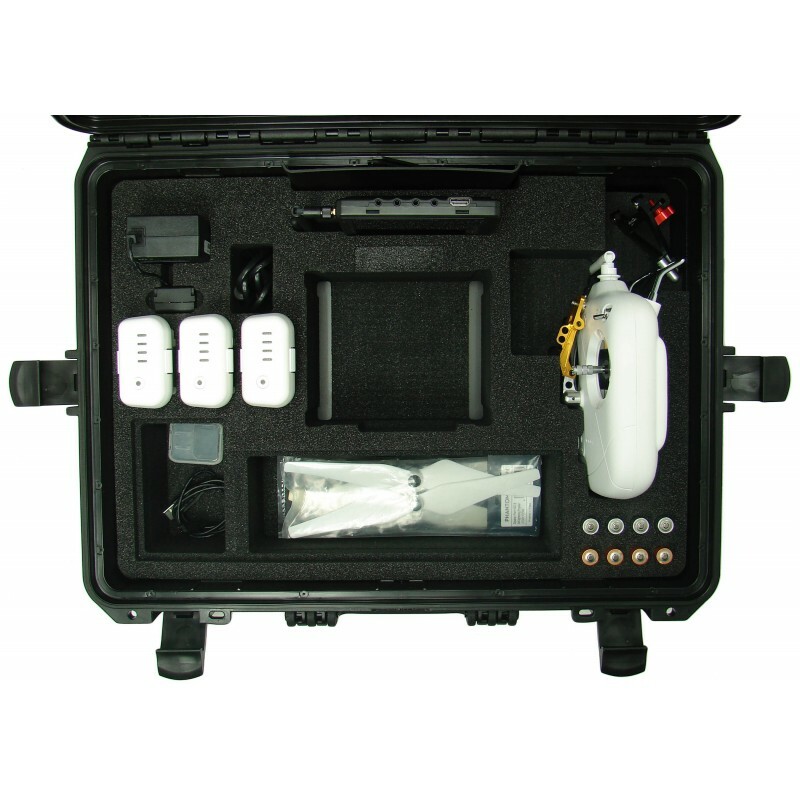 - 2 spaces lipo charger & its cable. 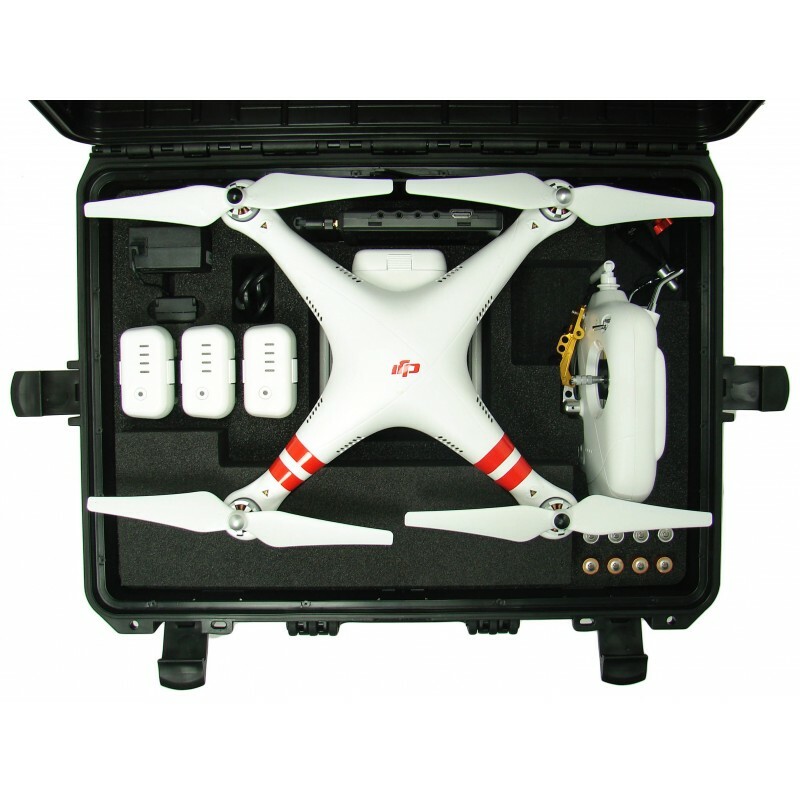 - 3 spaces for standard phantom 2 batteries ﻿ - 3S 5200 mAh. - 2 spaces for blackpearl 7" screen and its sunshade. 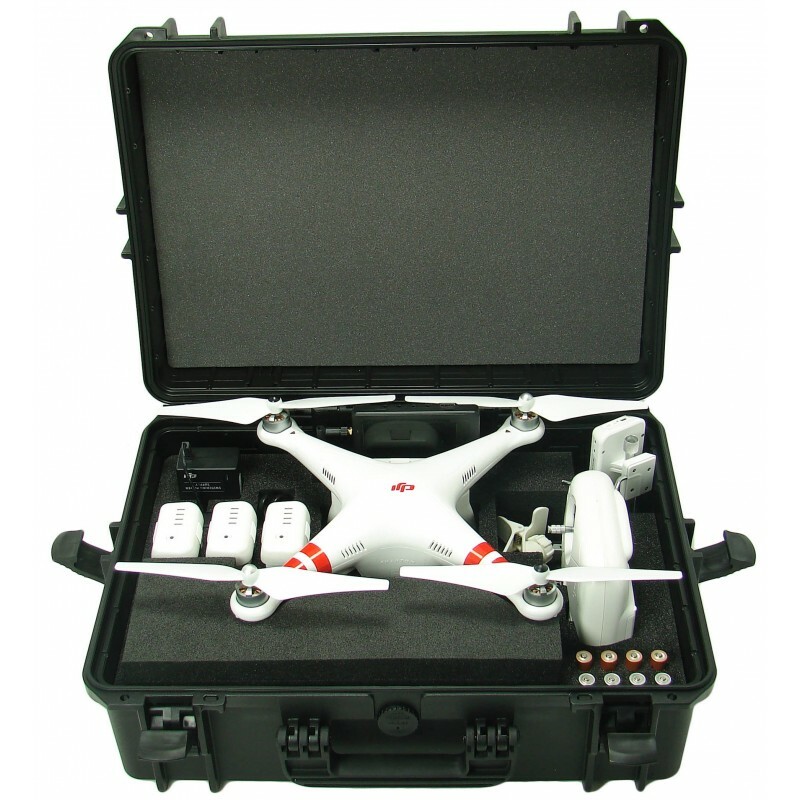 The small one : 115x72x80 mm. 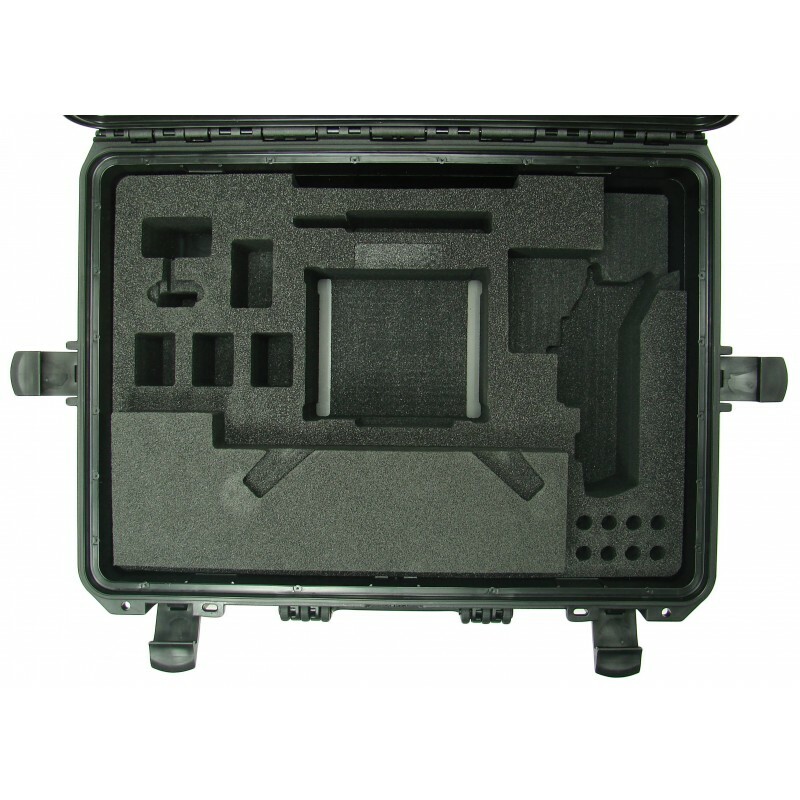 this robust model is waterproof, it's certificated﻿ IP67.